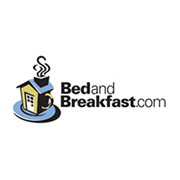 Our Bed & Breakfast is located in Central Vermont in the Historic town of Waitsfield of the Mad River Valley where Sugarbush ski resort and Mad River Glen ski areas are. 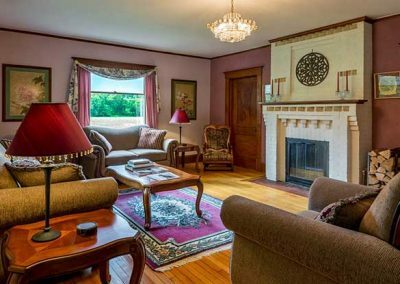 Erected circa 1860, this lovely renovated Inn was built from the wood of the land and boasts hardwood floors and decorative crown moldings throughout. 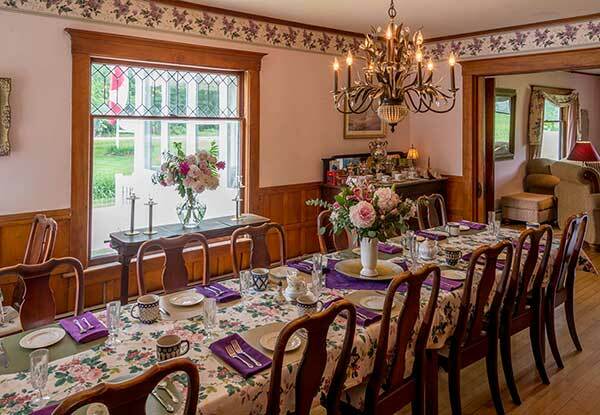 Lace-etched 5’x5’ picture windows and period antiques adorn the living and dining areas. Each guest room is uniquely decorated and features feather beds, or a memory foam mattress topper, and private baths. 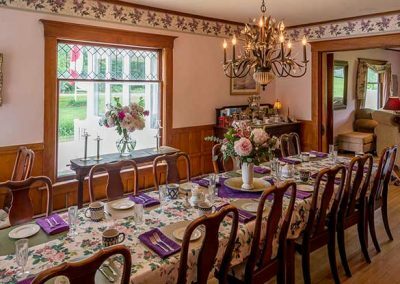 Our dining room with Queen Anne furnishings has a large table and two small tables. An antique buffet table proudly displays assorted teas and cocoa in woven baskets. Relax in one of our comfortable couches with a good book. The wood crackling fire and hot tea with baked goods will warm you after a day of skiing. 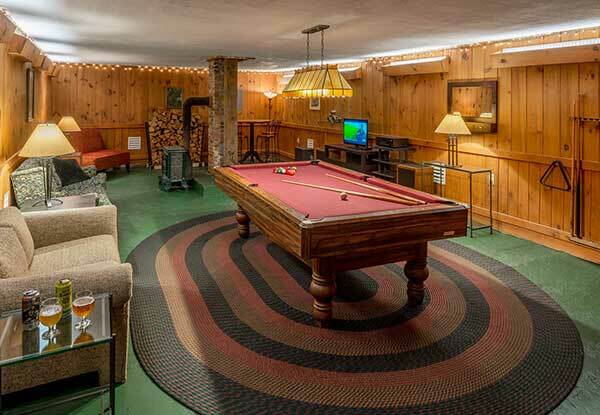 Our BYOB après ski lounge has cable TV, stereo, wood stove, guest refrigerator, and a pool table. In the evening, enjoy our Hot Springs hot tub on the back deck as you gaze upon the sky saturated with stars. We want you to enjoy our Inn and take advantage of all the common areas and our grounds. Sun room with wicker furniture and nice glass table with 4 chairs. Great spot to play cards. Living room with comfortable couches and real wood fireplace. 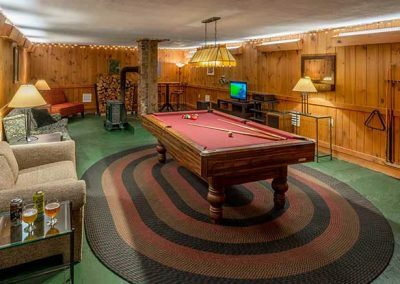 Large recreation room with pool table, large digital cable flat screen TV, stereo with Bose speakers, various games, woodstove and guest refrigerator. Our lovely back porch with great views. 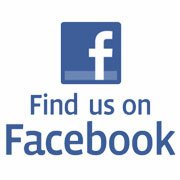 We have L.L.Bean Adirondack chairs in back lawn and rocking chairs in the gazebo. Our Inn is BYOB – Bring your favorite Adult beverage. We offer all types of glasses including wine, champagne and mugs for your use. When you awaken, you will be served a delicious three course breakfast. 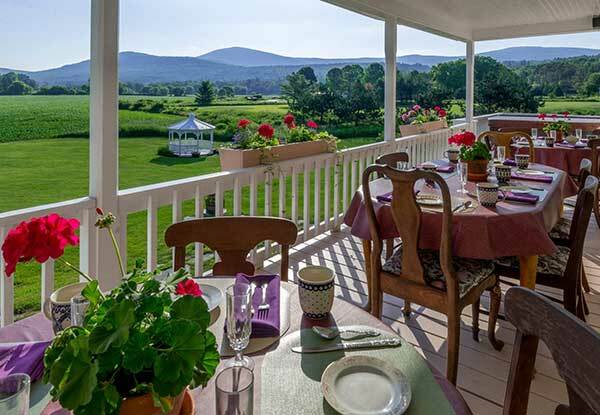 During the summer, breakfast is served outdoors on our covered back porch with flower boxes overlooking the gazebo, distant red barns, fields of corn and green mountains. 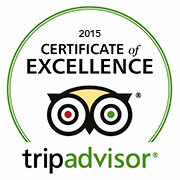 The warm hospitality and relaxed atmosphere make you feel right at home. 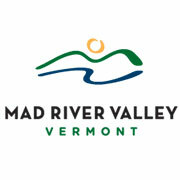 Come to the Mad River Valley for a most unusual vacation. Tour the mountains, meadows, and forests on one of the oldest horse breeds in the world. The Icelandic Horse makes it the ideal saddle horse. The Vermont Icelandic Horse Farm is near the historic village of Waitsfield, in the heart of the Sugarbush resort area and just 6 miles from the inn. 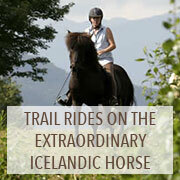 They offer full-day and half-day trail rides as well as two to six day treks.